How to Ping a website in Mac OS X? 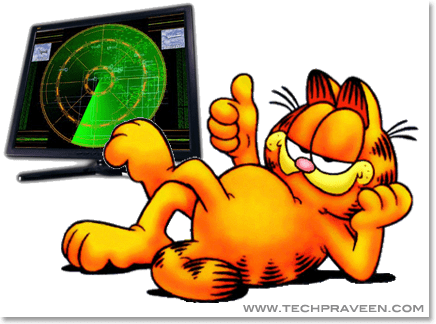 You are here: Home / Mac / How to Ping a website in Mac OS X? 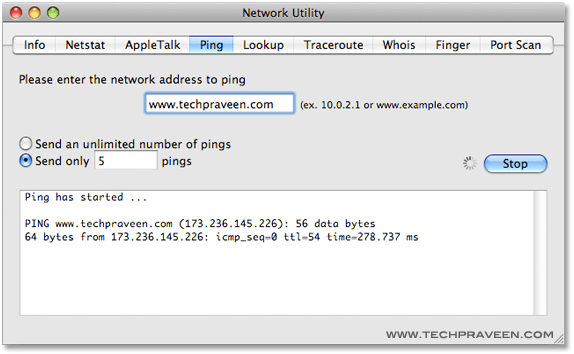 In this post I will show how to ping a website in Mac OS X using terminal and network utility. 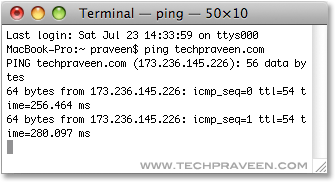 The “Ping” command is generally used to test the reachability of a host on an Internet Protocol (IP) network and to measure the round-trip time for messages sent from the originating host to a destination computer. Just goto Applications –> Utilities –> Terminal. Goto Applications –> Utilities –> Network Utility. Type the website address to ping. 2. Send only 5 pings. (You can change this no to anything).